CLIPEX came into existence as a result of a simple childlike prayer, that I uttered to God on a cold winter's day in in 2007, as I drove past an elderly man who was wrestling with an old rusty fence. Ten minutes later, I received a vision of a fence wire entering a slot in a post, with a rotating steel keeper. The rest is, as they say, "HISTORY"... and I'm glad to be able to share some of our story with you. We are a 100% family owned company, who have received much Grace and Providence enabling us to survive and grow since our very humble beginnings. We left our farm in Australia in 2009 with a lot of passion (and ignorance!) with a dream to make "CLIPEX" a reality. We wanted to make it as affordable and available as possible. So with my faithful wife and 4 sons, armed with our very limited resources, and our Aussie "can do" spirit - we simply believed that if we persevered, we would find a way to make it happen. We've experienced incredible challenges, taken huge risks and made so many mistakes - but we survived. We now have our own plant in China, along with plenty of battle scars and many wonderful achievements. We've retained our resolute faith and hope, to see our CLIPEX dream realised ! Clipex has truly revolutionised fencing. 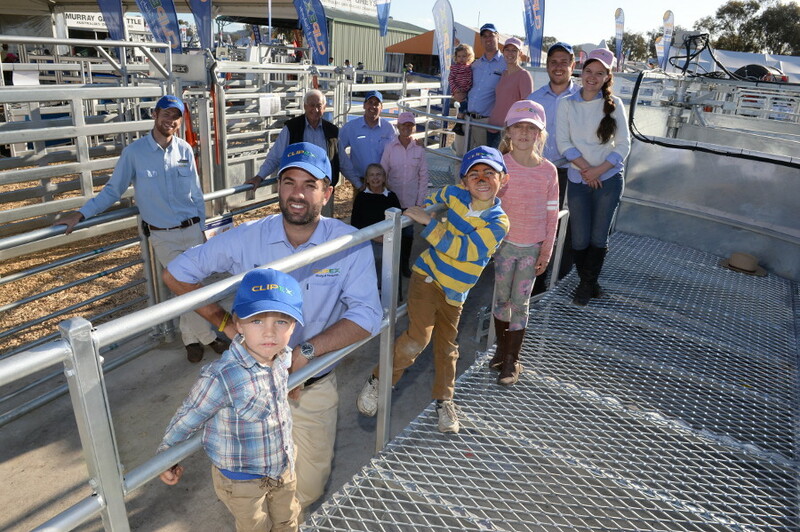 It delivers huge cost and time savings to rural families and we're so blessed to be the ones enabled to deliver one of the biggest fencing innovations in 100 years. Clipex has successfully grown into a vertically integrated company, which simply means, that we are in control of the whole process - from our design concepts, to our engineered solutions through our dedicated manufacturing lines, into our retail stores and finally through the sales process and installation on your farm - Clipex is able to provide you some of the worlds best innovations at a truly affordable price. AND... I can say with humble satisfaction, that Clipex works hard to make our innovation truly affordable. One great example is Predator Fencing - Clipex has significantly reduced the installed costs of this much needed infrastructure, to such an extent, that customers state our Clipex fence solutions paid for themselves within 2 years - made possible through significantly reducing stock losses to pests and allowing stakeholders and managers to implement greater pasture management controls. We also supply some of the most innovative stockyard solutions for sheep and cattle operations. And all this is made possible through our incredibly dedicated and passionate Clipex staff, whom we are so thankful for. I want to personally thank all our family, friends, supporters, faithful Clipex team members, and finally, our loyal customers, who have all together enabled Clipex to keep developing and delivering some of the most affordable innovations available.